This year our stylebook was set in the mountains surrounding the home of one of our newest shops, Seattle! We are honestly so excited to take you on a tour of the most beautiful spots in the area. You will see touches of whimsy, shimmer, & metallics hidden in the details of this largely organic shoot. We were inspired by the juxtaposition of cool girl glam in nature. Our owner & PNW guide for the day, Breanna is from Seattle and completely (and rightfully so) in love with all of its beauty. She scouted beforehand and the rest of the crew was so excited to follow along. We are going to take you along to see Eagle Falls, Lake Wenatchee, and the forest surrounding the magical Tye Haus. Get ready to squeal over our beloved Pacific North-West. The vendors are some of our favorite PNW people! The Portland & Seattle based team of vendors blew us away with their creative energy. Athena & Camron, our photographer-dream-couple work together in perfect synergy. Their love is inspiring and their professional know-how is no joke! They kept the day all about love & created one million reasons to laugh. Hannah, the boss babe at Urbanista brought the fire-y looks! Her calming presence and inspirational passion are so much fun to be around. Glowy & natural was the name of the game...and is also Hannah's specialty! Brier & Ivy stepped in with florals that read fairytale. We are talking natural but with shimmer & metallics that tie into all the details through out the shoot. 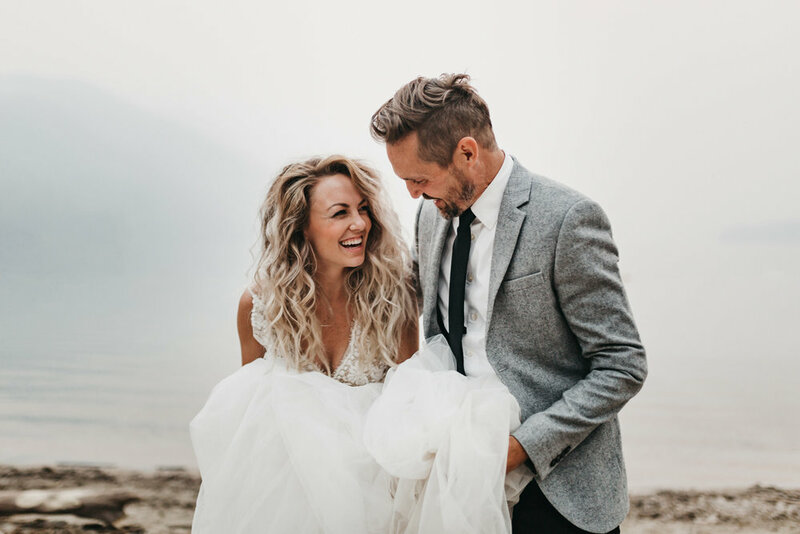 You will hear more about Manda & Johnny of Mae & Co when we gush about the couples featured in the stylebook but not only are these two beautiful (& beautifully in love) but they are also massively talented. They rigged up the divine tree instillation. 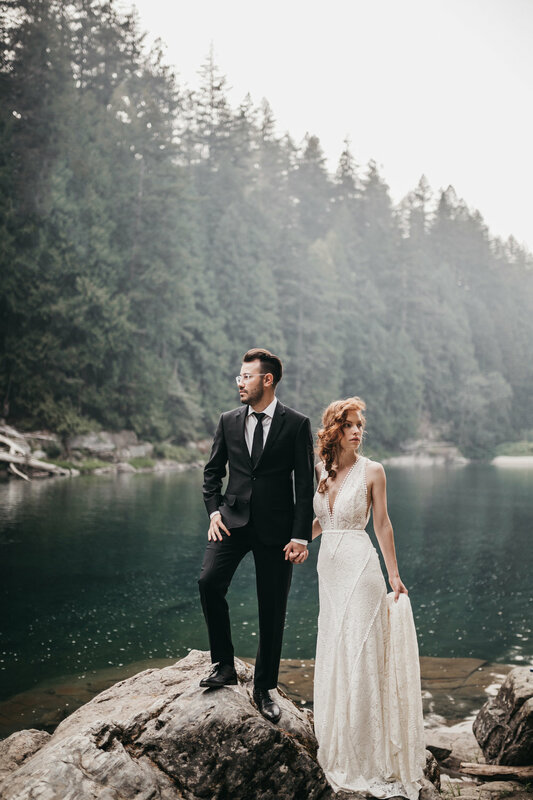 Black Tux dressed one of our grooms in a gorgeous tux. We teamed up with a local ready to wear boutique called Pipe & Row because we are obsessed with their minimal jewelry. The rings & necklaces you see through out can be found through them. Sorin & Autumn are have the most calm, peaceful, & perfect energy about them. They are engaged & didn't at all mind to get some wedding day practice. 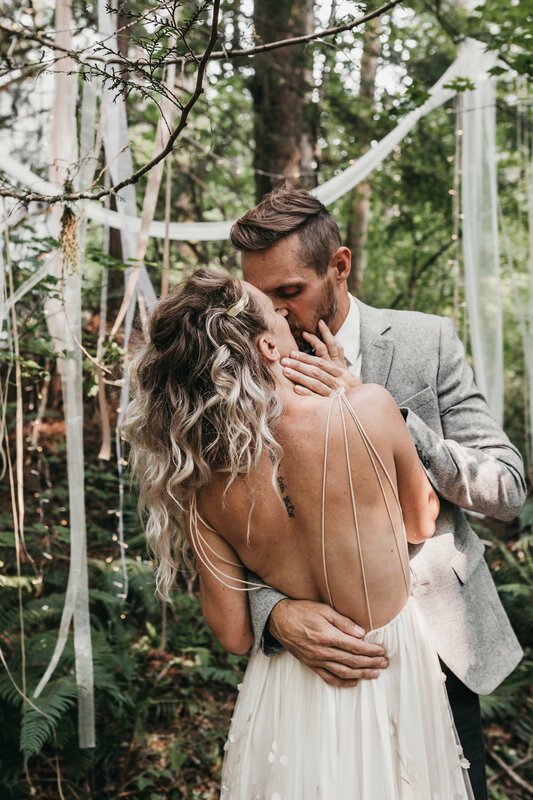 We were so happy that they shared their love & their ability to rock some wedding wear with us. Manda & Johnny as we mentioned above are not only behind Mae & Co but they are the faces of Ribbons & Rye! They are playful, ready to laugh, & carry some contagious joy around with them. Their bond is so natural & we love how that shows through these images. Stay tuned for Part 2 of this stylebook feature to learn more about each dress and style!